The next morning they packed-up and with a mule and wagon left Blue Springs on a rutted sand road that cut eastward through a thick scrub of palmettos and pines. Near the town of present day Lake Helen, they found seven pine-covered hills, and saw the silvery lakes mentioned by Seneca. Both Colby and Giddings agreed that this was the spot where they were to build a new spiritual center. 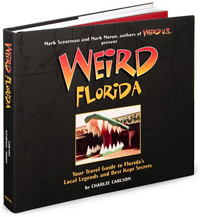 For many years, the Colby and Giddings’ homesteads were frequented by mediums from the Cassadaga Free Lakes Association, of Cassadaga, New York. In October, 1894, a group of these mediums established the charter for the Southern Cassadaga Spiritualist Camp Meeting Association. 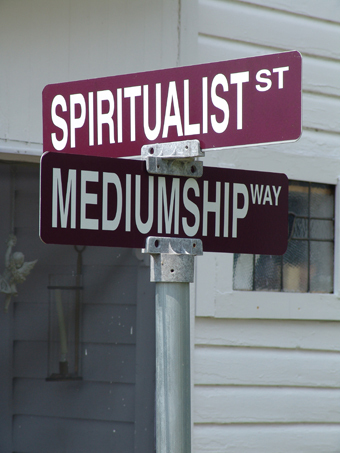 By 1895, Cassadaga was already turning into a winter retreat for spiritualists. In the early 1900s, advertisements in northern newspapers invited mediums to permanently relocate to the great spiritualist center. 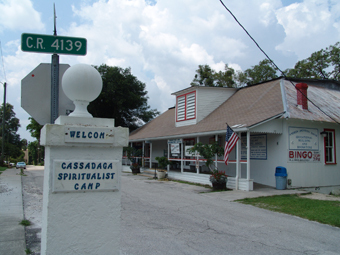 By the 1920s, Cassadaga had become a regular settlement and the nation’s main center of spiritualism. In 1922, the historic Cassadaga Hotel was built to accommodate the increasing number of visitors and mediums. George Colby died on July 27, 1933 and was buried in the nearby Lake Helen cemetery. A few stories say his grave is empty and that he died a pauper in New Smyrna where he was buried in an unmarked grave. Another rumor has him being cremated and his ashes sent to New York. Most historians support the idea that he is really in the Lake Helen cemetery. The first spiritual meetings attracted many local folks from Deland and Enterprise, however, being unfamiliar with Spiritualism, Cassadaga was soon looked upon as a strange place, “where the devil’s work is done.” Backwoods preachers warned their congregations to “stay away from Cassadaga, less ye be damned.” It’s easy to say this attitude was generated by rural ignorance, but this same prejudice against Spiritualism still exists today within some local religious circles. I was able to talk with Louis Gates, a certified medium and healer, about the history and rumors surrounding Cassadaga and found that residents still have a few problems with outsiders.